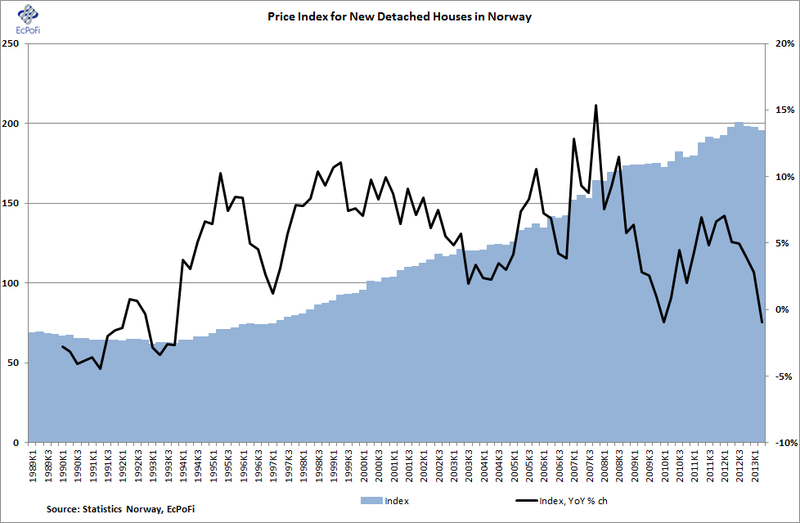 Numbers just released by Statistics Norway show that the price index for new detached houses fell in Q2 compared to the same period last year. Although the drop was "only" 0.96%, perhaps more important was the fact that it represents the first year on year drop since Q2 2010. More dramatic however is the 1.1% drop in the index compared to previous quarter and that the index has now fallen three quarters in row on the same basis. 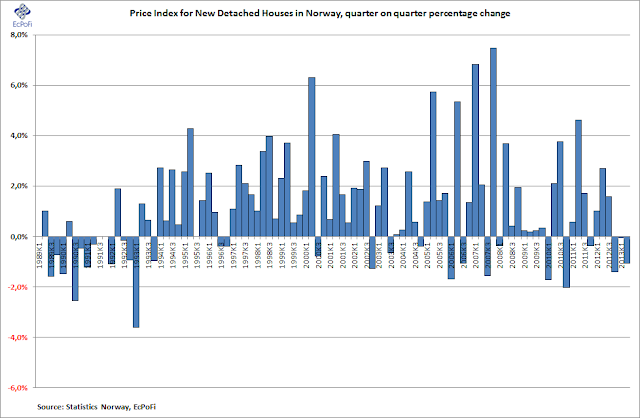 The last time the index dropped for three consecutive quarters was during the Q3 1992 to Q1 1993 period, the tag end of the Norwegian banking crisis. In total, the index is now 2.5% lower than it was in Q3 2012. Although this data alone of course does not indicate the Norwegian house price bubble is not alive and well, the fall in prices for new detached houses nonetheless could indicate a change for the worse in house price growth. 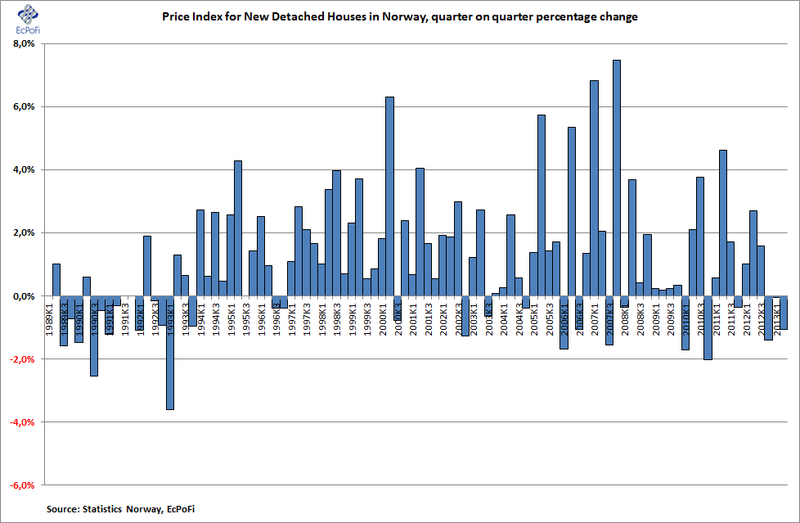 Statistics Norway will publish the overall House Price Index for Q3 on 15th October at which time we'll know a bit more. It's interesting however to observe that Dagens Næringsliv, a Norwegian financial newspaper, today reports that 74% of detached and semi-detached houses sold in August in one of the more affluent parts of Norway sold below appraisal value (here).